Happy #ThrowbackThursday! We’re celebrating by reflecting on all of the wonderful weddings on September 9th! 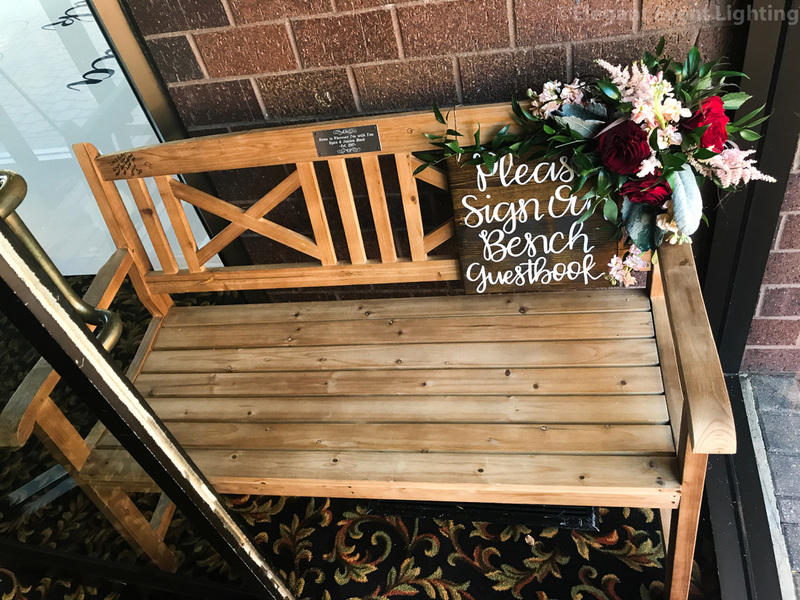 We loved this unique Guestbook! 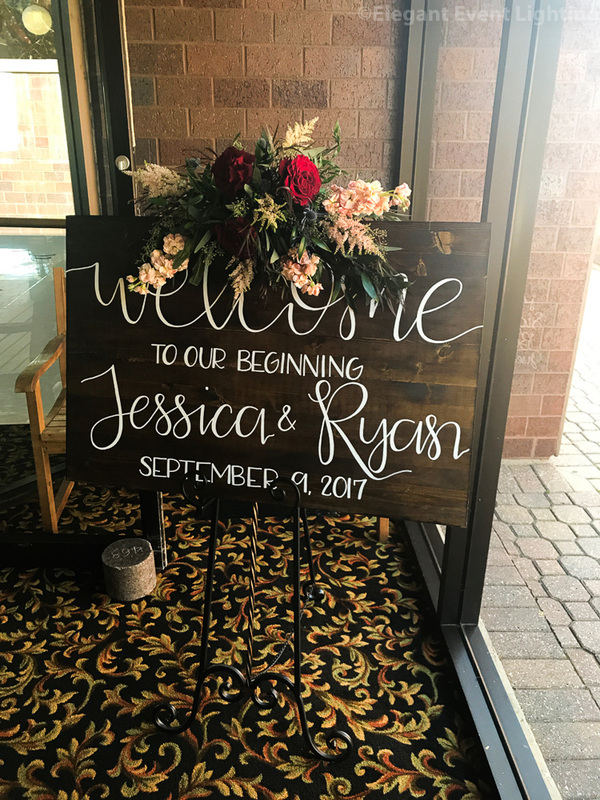 For more guestbook ideas check out our sister company’s blog post here! 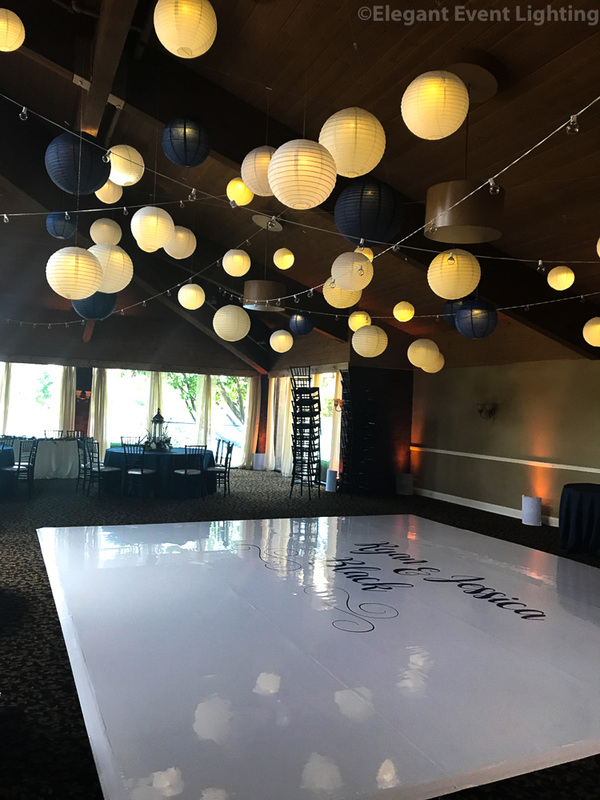 Illuminated White, Ivory, and Navy Paper Lanterns hung above the dance floor to create such a fun dancing environment! 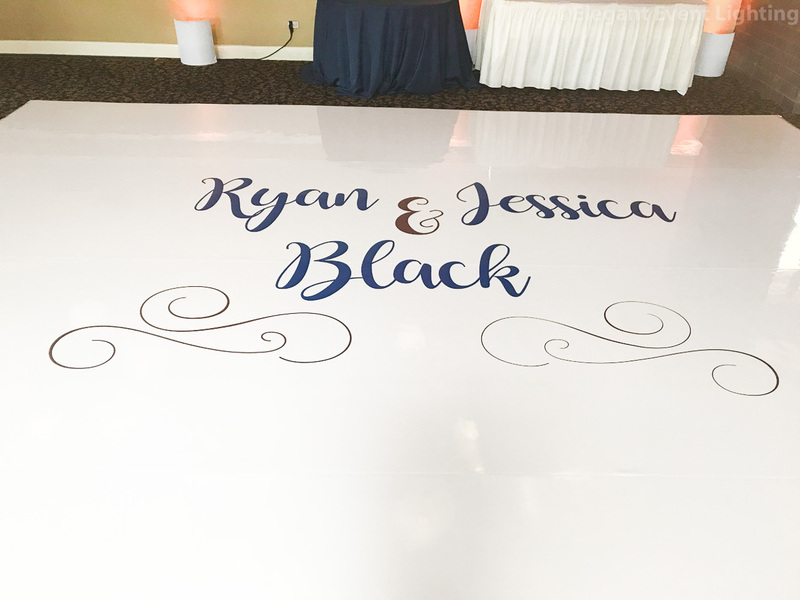 The couple’s white vinyl dance floor looked stunning with a personalized monogram in Burgundy and Navy to match their invitations! 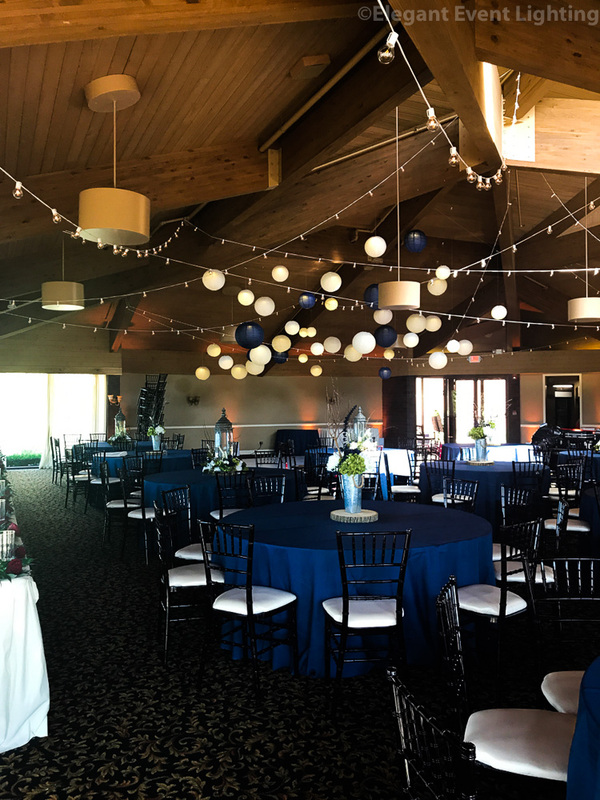 Along with paper lanterns, the ceiling of Ryan & Jessica’s reception was illuminated with swooping cafe globe string lighting! 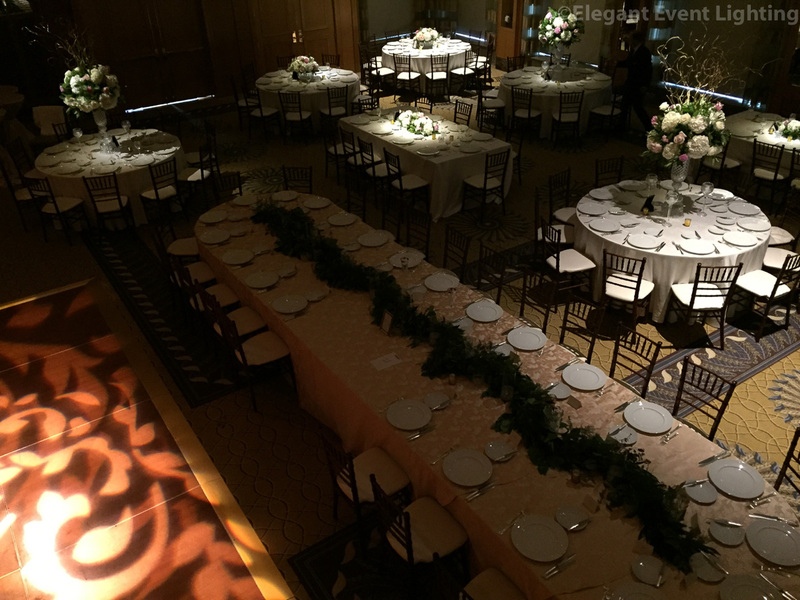 The perimeter of the space was illuminated with amber uplighting. Our next wedding at City Gate Grille in Naperville was a blast! 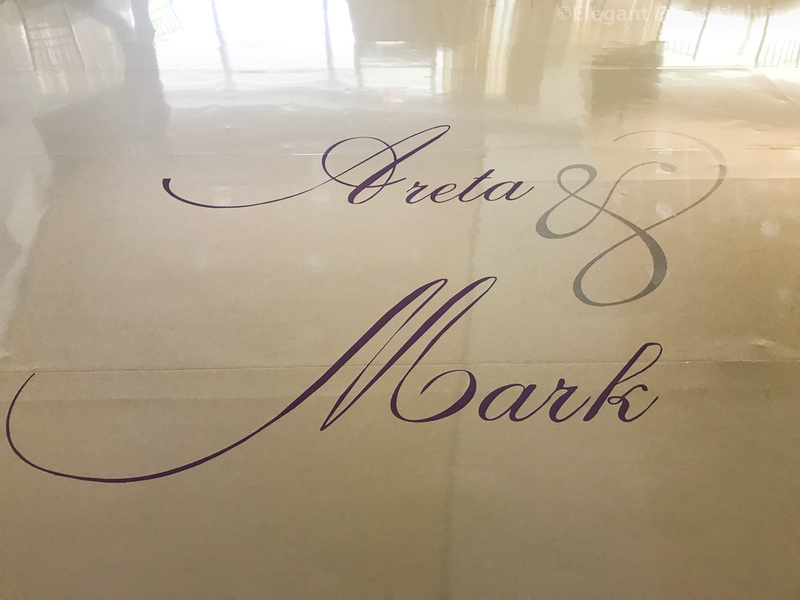 How cute is this head table set up for Areta & Mark? 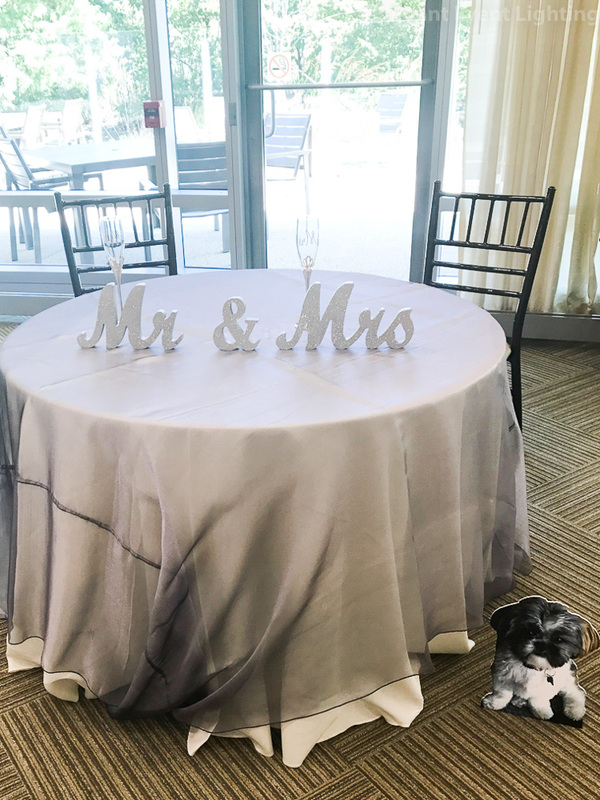 To complete the room transformation, an ivory vinyl dance floor cover with a personalized monogram was the center of attention in this space! 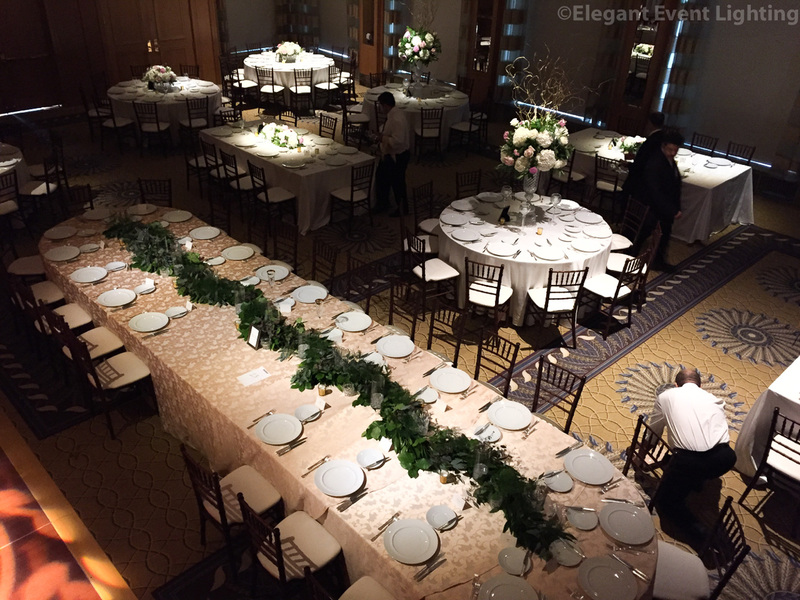 Right next door, we had Andrea & Tony’s fairytale wedding at Hotel Arista. 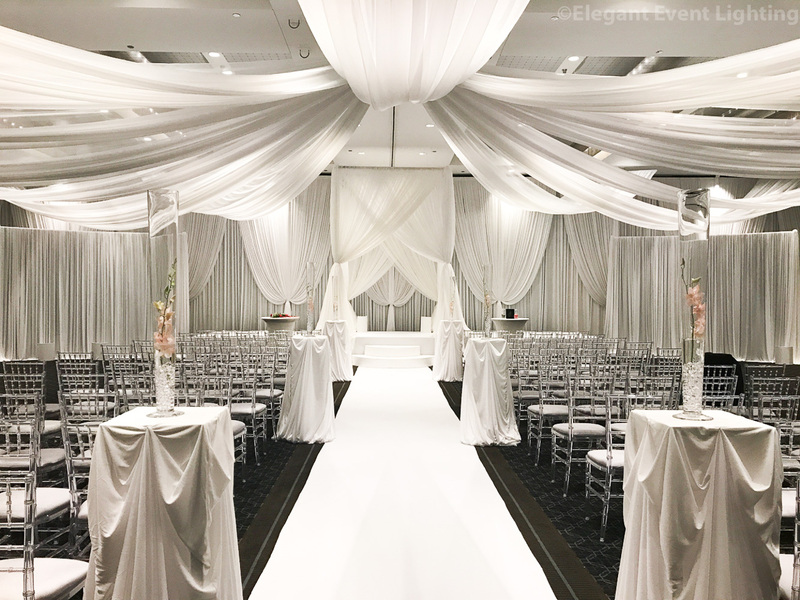 The ballroom was a white wonderland with this ceiling canopy, aisle runner, flower pedestals, fabric backdrop, and bridal canopy for the couple’s ceremony. Guests headed to the hallway for cocktail hour which was decorated with their placards and white fabric credenza draping. 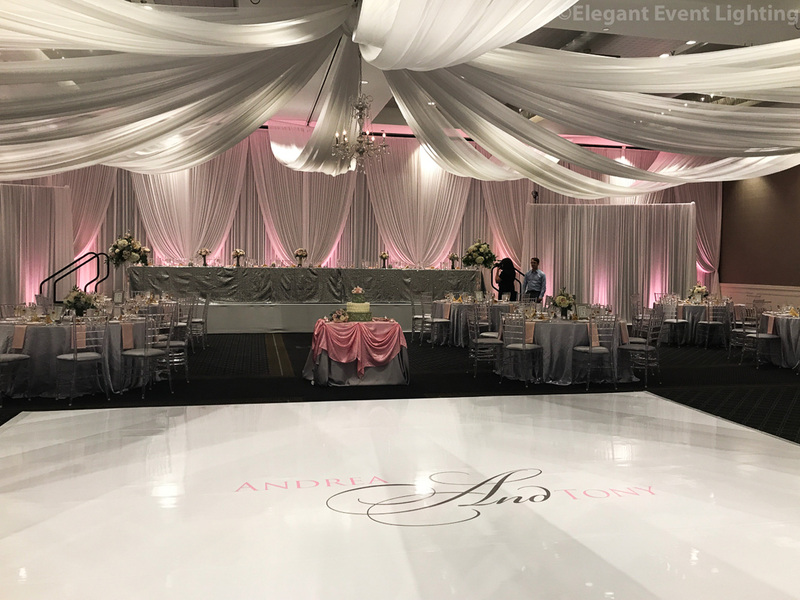 As guests re-entered, the ballroom of Hotel Arista was made-over with blush pink uplighting, a white dance floor with a personalized monogram, and a hanging crystal chandelier to glow over the cake table for the reception. 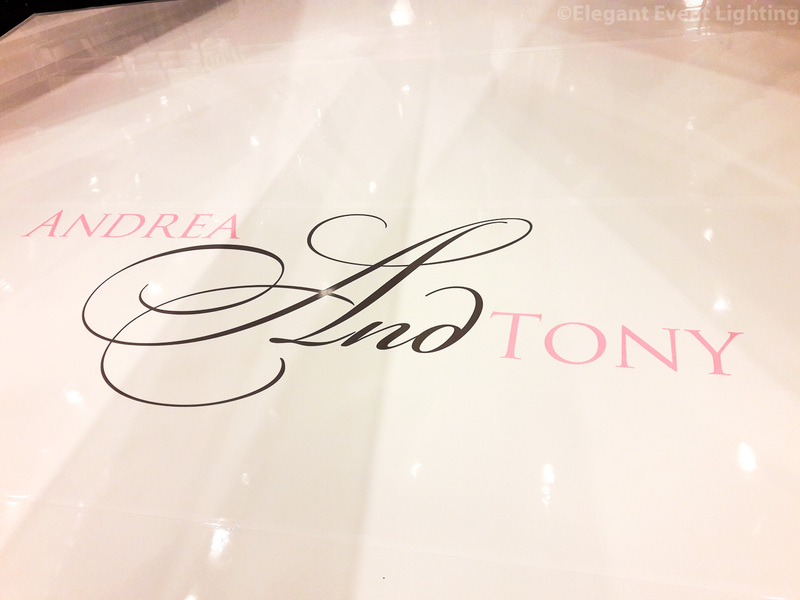 Such a gorgeous vinyl monogram! 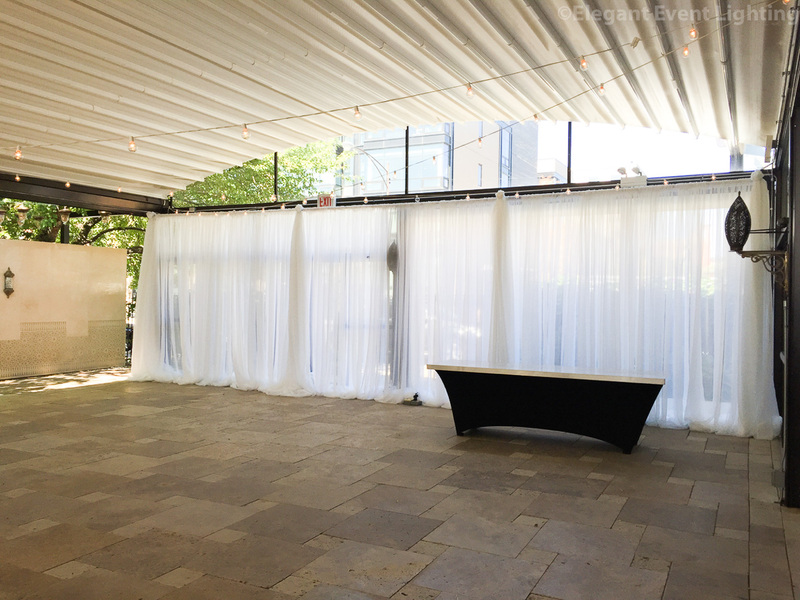 Meanwhile at Galleria Marchetti… An elegant white sheer backdrop in the Pergola space. 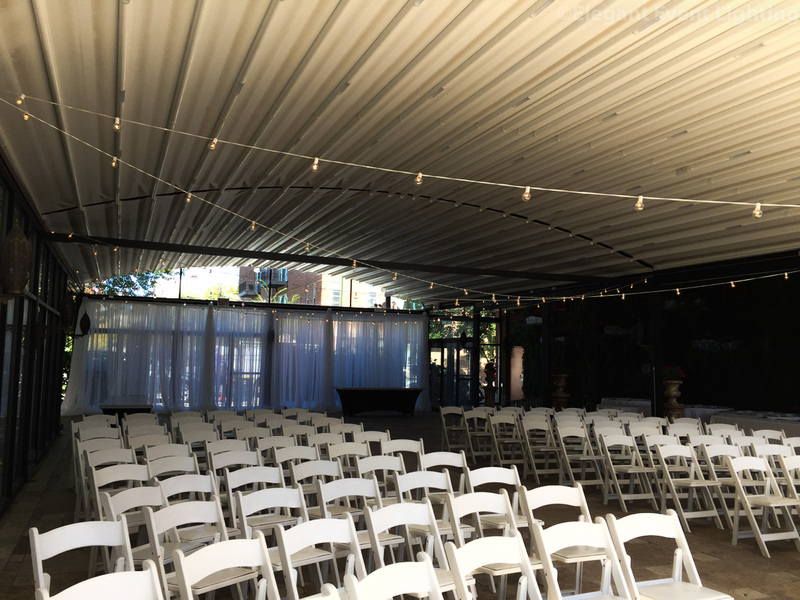 Cafe lights were suspended from the ceiling of the Pergola as well. 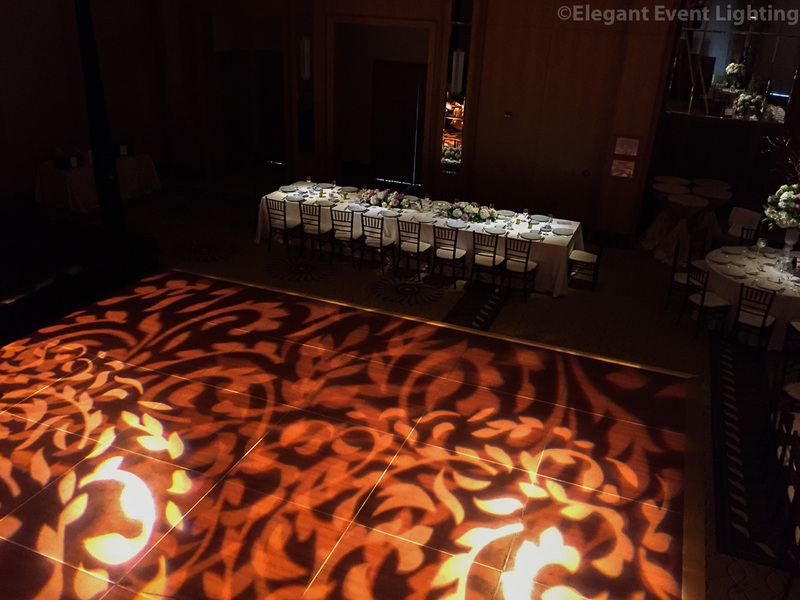 The Peninsula Hotel‘s dance floor with patterned lighting was the perfect focal point of the room! 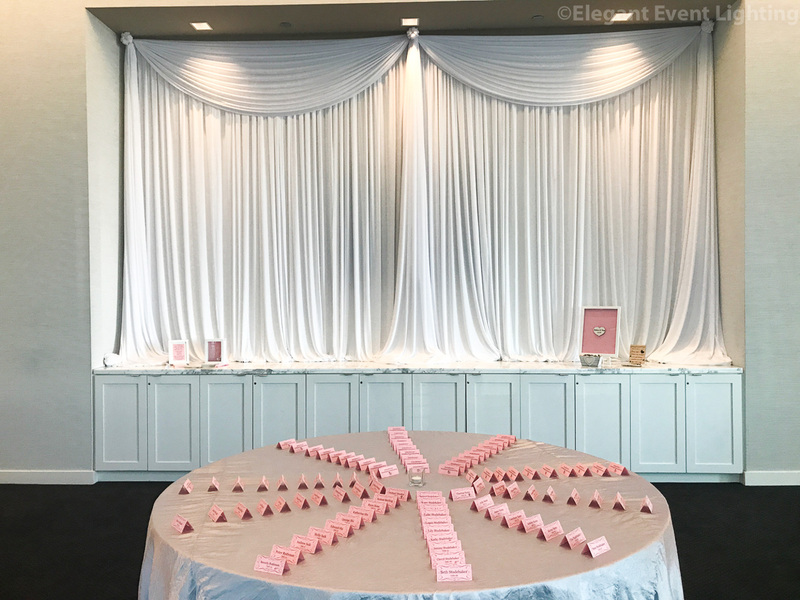 We were honored to work with Stephanie at The Creative Planners on Catherine & David’s wedding reception. And after! It’s amazing what a difference lighting can do. For more comparisons click here. Stay tuned tomorrow for all of the weddings of last weekend!